Call it a blonde moment…call it a lapse in judgement…whatever you want to call it, it was definitely a mistake. In my defense, I was tired; the Waterman Challenge was the last race of a long weekend of racing at the Quiksilver Waikiki Paddle Festival. The race was a 500 meter swim, a 1000 meter prone paddle, and a 1500 meter standup paddle, and the one that I had been the most excited about going into the weekend. Fellow Surftech/Quickblade/Maui Jim team rider Alison Riddle had killed us all in the swim and prone paddleboard and I had spent the first lap of the standup paddle trying to run her down. Just as it looked as though I was going to be able to catch her, it was time for a buoy turn. Peter Mel had made it very clear during the race briefing that we were to do left shoulder turns for all buoys except the ones going in to the beach, but for some reason, I managed to think it might be a fun idea to do a right shoulder turn at the worst moment possible. I started to turn the buoy (the wrong way) and I heard Jamie Mitchell yelling over the loudspeaker that I had to turn it around and go around the right way. While all of this was happening, Alison was off ahead again on the 2nd lap and Gillian Gibree was gaining ground. Fast. 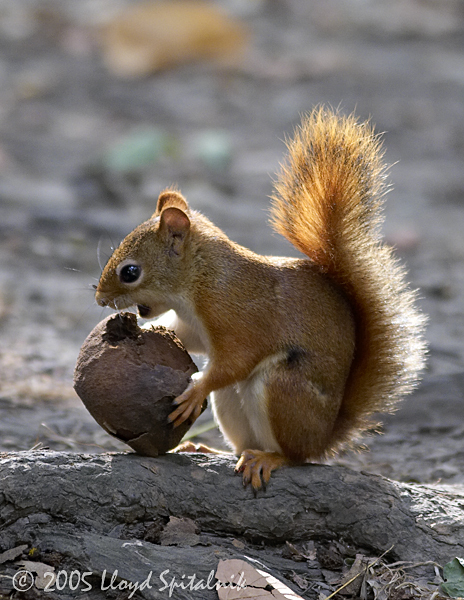 What you may or may not know about Gillian is that there are two things that turn her into “the red squirrel”. The first is when she gets her hands on some Red Bull, and then second is when she is competing. My friend Jen Holcomb calls it “the crazy switch.” When Gillian is gaining on someone, it just adds fuel to the fire and it is very difficult to hold her off. I see it as a testament to her athletic ability. Anyway, Gillian had gained a lot of ground while I was busy doing the two step around the buoy. I managed to hold her off during the second of three standup paddle laps, and then faltered a bit around another turn and she pulled ahead. She and I then battled it out the rest of the way, and I was just not able to pull ahead again (squirrels are sneaky) and ended up second to the beach. Despite the somewhat annoying circumstances, all due to user error, that race was one of may favorites of the weekend. I was so happy to see that so many of the girls stepped up to do that race after a long, difficult weekend. 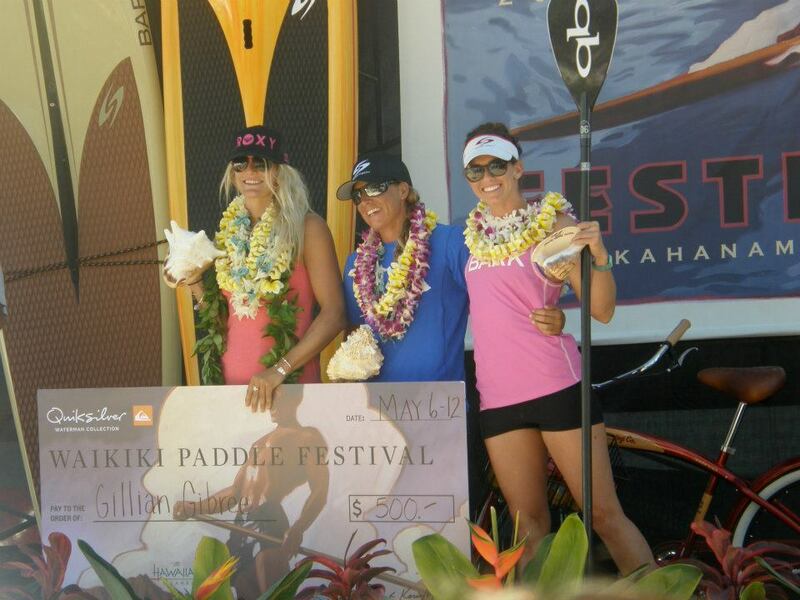 It was fun to see that most of the standup paddle females are really well rounded athletes and are competitive in many different ocean sports. A rarely seen Gillian/Morgan hug. She probably felt bad for pulling a squirrel on me. As for the rest of the weekend…Saturday started off with the 2 mile prone paddleboard race where I ended up second to Maui Jim ambassador Kanesa Duncan Seraphin, the queen of prone paddling. The way I see it, second to Kanesa might as well be a win, so I was pretty happy with the finish. Alison Riddle also did the prone race, coming in 4th. Pretty impressive considering she only decided to do the race about an hour before it happened. 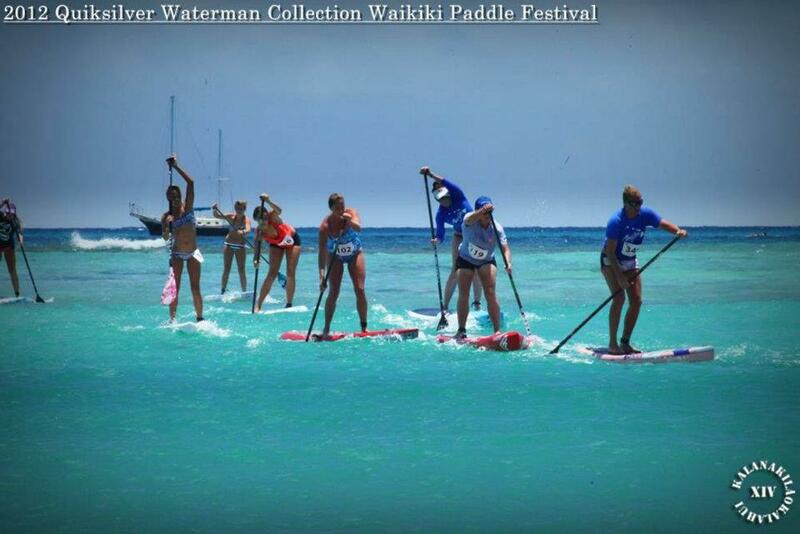 Saturday afternoon was the SUP Survivor race, a series of 10 minute laps with a short break in between. Each lap eliminated 5 girls, until only 5 were left in the final. I bonked and was out in the lap before the final, which was almost a good thing because I was able to watch the final. Gillian, Jenny Kalmbach and Candice Appleby battled it out for the entire lap in one of the best races of the weekend. In the end, Gillian managed to hold off both the other girls for the win. Congrats to all three of them, those girls fought really hard and never gave up during a really challenging race. Also thanks to Jaimie Mitchell who put together a different and challenging race for everyone. Sunday morning was the distance race, which was a 10.5 mile course from Hawaii Kai on Oahu’s Southeast corner to Fort DeRussy in Waikiki. I have spent a lot of time this year trying to learn as much as I can about the Hawaii Kai run…everything from the board you use, how good you are at bump riding, to the course you choose to take really makes a difference. Fortunately, Joe Bark has been working really hard on coming up with a downwind SUP board for Hawaii. We have been trying and tweaking several 14 foot boards and I think he has really come up with a good one. The board that I used arrived in Hawaii the Friday before the race, leaving no time to try it out before the race actually happened. Just looking at it though, you could tell that it was going to be fast. I also had some help with the line that I chose to take. I had called Keoni Downing, who is a local legend not only here on Oahu, but in the surf community in general to see what he thought the right way to go was. He gave me some pointers and it payed off. I ended up first in my class (the 14′ division) and 2nd overall for women behind Andrea Moller who is an animal, which I was really excited about. All of those Hawaii Kai training runs both prone and standup really helped to be ready for the distance race. So, yeah…it was a long weekend. One that ended in an epic blonde moment, but still one of the more fun racing weekends I have had in a long time. Thanks to Jamie Mitchell and Quiksilver Waterman’s Collection for putting on an awesome event. Also, thanks so much to Joe Bark, Maui Jim Sunglasses, Surftech, Quickblade Paddles, Kona Brewing Company, Vertra Suncare, Future Fins, Wet Feet, Dakine and Surf Stronger for being so supportive and allowing me to have the life that I have. I appreciate all of you more than you know! You girls are my heroes!!! Every last one of you! Great post Morgan! Great recap Morgan. Finally a blog I would like to read. And you’re so funny too! Yeah girl. Great post Morgan!! Great blog…and you are hilarious. Felt like I was on the water with you. And to think you let me, miss novice water woman in every way try your new Bark board…with a rudder…yikes!!! Molokai is going to be another great adventure this year for Mark. 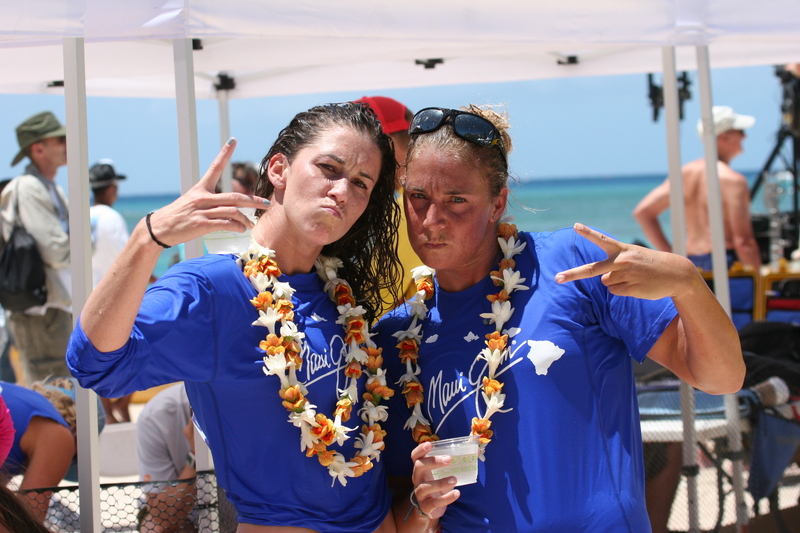 The Wailupe Crew rocks…you all inspire me to reach higher and higher in all of life’s endeavors! !